Moscow considers US sanctions targeting Russia in connection with Skripal's poisoning unlawful, and a new set of sanctions from the US side will be viewed similarly if they will follow in November, Kremlin spokesperson Dmitry Peskov said Wednesday. "We consider these restrictions imposed by the US illegal and, as a consequence, will treat similar steps in the same manner if they follow," the spokesperson noted. The statement comes after State Department Spokesperson Heather Nauert said Tuesday that the US intended to impose additional sanctions against Russia, claiming that the Russian Federation failed to meet the conditions required by the Chemical and Biological Weapons Control and Warfare Elimination Act of 1991. The same day, Congressman Ed Royce said that Russia did not comply with conditions, the US imposed after an attack on former Russian spy Sergei Skripal, paving the way for the start of consultations on new sanctions against Moscow. On August 24, the United States announced that it was imposing sanctions on Russia under the chemical weapons law that allows for the termination of foreign assistance and arms sales, denial of US government credit or other financial assistance, prohibitions on exports and a suspension of diplomatic relations, among other possible measures. 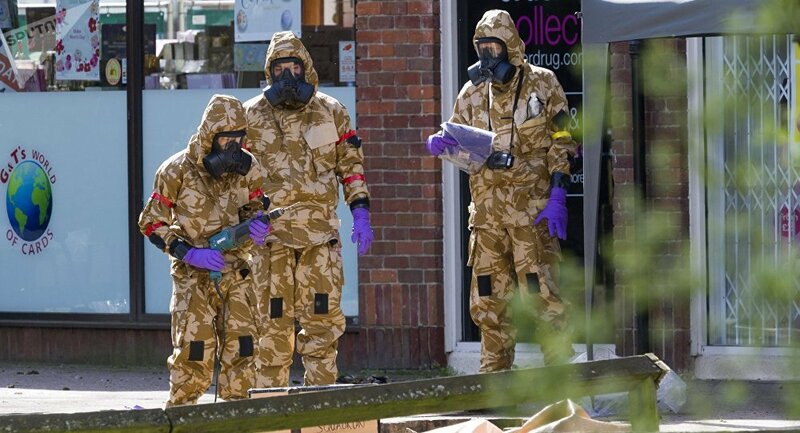 The United States has accused Russia of involvement in the March 4 nerve agent attack on Skripal and his daughter Yulia in the English town of Salisbury, a claim categorically denied by Moscow, with Russian Foreign Minister Sergei Lavrov saying that the Skripal affair was falling apart due to the lack of evidence proving Russia's involvement. The Russian Foreign Ministry said that it had sent about 60 diplomatic notes to the UK Foreign Office, demanding that Russia should be given access to the investigation and offering cooperation but to no avail.